I am the kind of doctor that chooses to spend as much time with patients as they need. And I believe that taking the time to listen to them helps me to better understand what they are going through. Charles Lindsey, MD, a hospitalist who cares for inpatients at Cancer Treatment Centers of America ® (CTCA), Chicago, says it’s just as valuable for patients to get the time and attention they deserve from their doctors as it is the treatments they need to fight the disease. He feels patients’ families need time to talk with their loved ones’ doctors, too. Faith is an important part of Dr. Lindsey’s life, and he often draws from his own spiritual strength and experiences when caring for patients. If asked, he will pray with patients. “I come from a spiritual background and have a strong faith. I believe that God supports patients both through medical science and the healing process,” he says. 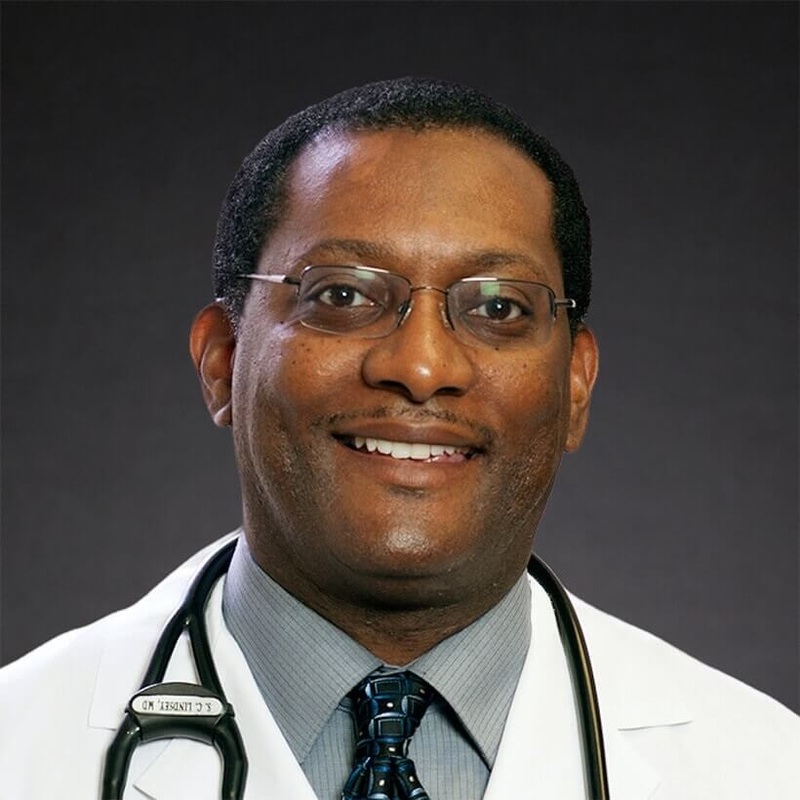 Dr. Lindsey earned a medical degree from Finch University of Health Sciences/The Chicago Medical School (now known as the Rosalind Franklin University of Medicine and Science) in North Chicago, Illinois. He received a bachelor’s degree in biochemistry from the University of California, Riverside. He completed a family practice residency through the Medical College of Wisconsin (MCW). Dr. Lindsey served as a resident physician at a number of hospitals in Southeast Wisconsin affiliated with MCW, including Wheaton Franciscan Healthcare - All Saints in Racine. He helped train medical students at the Racine Family Practice Center and the medical and obstetric wards within the All Saints Healthcare system. For his efforts, he was honored by MCW and the residency program with a teaching award. Since 2003, Dr. Lindsey has served patients at our Chicago hospital. Previously, he was an attending physician at Vista Medical Center East in Waukegan, Illinois and a member of a private practice in Zion, Illinois. Dr. Lindsey has presented on topics such as colorectal cancer diagnosis, treatment and screening, and chronic congestive heart failure to colleagues and the community. He donates a considerable amount of his time volunteering with the Student National Medical Association’s Chicago Medical School Chapter.